Albania is defined by its Constitution, which is the highest law in the country, as a Unitary Parliamentary Constitutional Republic. The country also applies the international law that is binding on it. Albania (Shqipëria) is a 28,748 km2 country situated in the heart of the European continent, in Southeast Europe. The country is small in kilometers but it has many natural landscapes, is rich in mineral and natural resources and its inhabitants have inherited unique traditions of their Illyrian ancestors. Tourism has become a priority in country, being that Albania is surrounded by about 400 km coastline with its unspoiled Adriatic and Ionian beaches, which in 2104 were visited by more than 3 million tourists. Located in the region called Balkans, Albania is bordered by Greece in southeast, Macedonia in the east, Kosovo in northeast and Montenegro in north. In front of it (bordered by Adriatic Sea) is Italy. The main airport is called Mother Theresa Airport, located in Rinas, between Tirana and Durres cities. As for the geo-physic feature, Albania is divided into four zones: northern mountainous zone also called Albanian Alps, central mountainous zone, southern mountainous zone and the western wetland. The average latitude of the country is 708 m above the level sea. The country’s climate has Mediterranean features where the minimal temperatures may reach -15 degree during winter and up to 40 degree during summer season. Albania has about 270-300 sunny days per year. Tirana, the largest city and at the same time the most developed metropolis is the capital of Albania, situated in the Middle Albania, bordered by Durres and Elbasan cities, second largest cities in country. Tirana is the settlement of many international firms and businesses’ offices. The architecture and urban development of the city boosted after 1990 since before citizens didn’t have the right to construct nor had their private owned lands or facilities. 3.020209 million people are estimated to live currently in Albania (calculated in 2014), whose prominent values are the worm hospitality and religious tolerance, often praised by important international figures, lately by Pope Francis during his historical visit to Tirana on September 21, 2014. Economy of Albania has had many ups and downs during the transition period (after the fall of communism in 1990 until nowadays). It is a liberalized economy and mainly focused on tourism and natural resources (chrome, oil and other minerals). Economy’s priority sectors are: agriculture, tourism, ICT, transportation and logistics, renewable energy, manufacturing industry, mining industry (natural resources). Albania is a democratic state and has a large number of small parties registered as active in country’s political life. Socialist Party (mayor left-wing party in country) is currently ruling the country, headed by its leader Edi Rama, Prime Minister of Albania, declared winner of elections held in 2013. Democratic Party is the main opposite party, ruled by Lulezim Basha, which is currently Mayor of Tirana Municipality. After the fall of communism regime in 1990, first democratic elections took place in 1991 but the communist party won and was still a majority. In March 1992, amid liberalization policies resulting in economic collapse and social unrest, a new front led by the new Democratic Party took power. The economic crisis spread in late 1996 following the failure of some Ponzi schemes operating in the country, peaking in 1997 in an armed rebellion that led to another mass emigration of Albanians, mostly to Italy, Greece, Switzerland, Germany and North America. In 1999, the country was affected by the Kosovo War, when a great number of Albanians from Kosovo found refuge in Albania. Albania became a full member of NATO in 2009, and has applied to join the European Union. In June 2014, the Republic of Albania became an official candidate for accession to the European Union. On 28 November 1912 Albania declared independence from the Ottoman Empire. Parliamentary state and assembly established in Vlorë on 28 November 1912. The government and Senate were established on 4 December 1912. Leader – Ismail Qemali. Short-lived monarchy headed by William, Prince of Albania, until the abolition of the monarchy in 1925. Official name as enshrined in the Constitution of 1925. A protectorate of the Kingdom of Italy after the Treaties of Tirana of 1926 and 1927. Constitutional monarchal rule between 1928 and 1939. A de facto protectorate of the Kingdom of Italy. A protectorate of the Kingdom of Italy which led by Italy’s King Victor Emmanuel III. Ruled by Italian governors after military occupation by Italy from 1939–43. Ceased to exist as an independent country. Part of the Italian Empire. A de jure independent country, between 1943 and 1944. Germans took control after the Armistice with Italy on 8 September 1943. 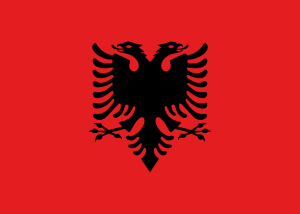 From 1944 to 1946 it was known as the Democratic Government of Albania. From 1946 to 1976 it was known as the People’s Republic of Albania. In 1991 the Socialist Party of Albania took control through democratic elections. In 1992 the Democratic Party of Albania won the new elections. The President of Albania or the constitutional Institution of the republic based on the constitution of Albania is head of the state and represents the unity of the country. Currently, the head of the state in Albania is Ilir Meta and he was elected by the Albanian Parliament on April 28, 2017.The Constitution defines the terms of the election, the mandate, dismissal, or the replacement of the president. Only Albanian citizens by birth, over the age of 40 are rightful to be elected for this post. The details and conditions for the presidential election are defined by Article no. 86 of the Constitution. The Parliament of Albania is an institution legitimated by the will of Albanian people through their right to vote and elect their representatives. The parliament consists of 140 lawmakers that exercise the legislative power derived from the Albanian people for a term of four years. Therefore, the Parliament has the right to control other constitutional or legal institutions and impede them from taking decisions that are against to the will of people. The Ombudsman is an institution financed by the state budget, but independent from the Public Administration bodies and no one can give him/her instructions or orders. It protects the lights, freedom, and the interests of Albanian and foreign citizens that stay in Albania temporarily or permanently from the illegal or irregular acts and omissions of the Albanian public administration bodies. The Ombudsman has no executive power. The law on the Ombudsman defines how the head of the institution is elected. He/she is elected for a five-year term. The Prime Minister’s Office, known in Albanian as Kryeministria, is the principal workplace and residence of the Prime Minister of Albania, currently, Edi Rama. Situated on Martyrs of the Nation (Deshmoret e Kombit) Boulevard, the building was designed by Italian architect Gherardo Bosio in 1939. Since 1945 it served as the headquarters of the Council of Ministers and the State Protocol. The Department of the Public Administration (DAP) aims to provide a strong civil service based on professionalism, merit, moral integrity and political impartiality. DAP is the main public body responsible for the management and implementation of the civil service in all the bodies of the central administration, drafts and implements policies on wages for the creation of the public administration institution, drafting and implementing policies and general training programs. The Official Gazette is the official periodical publication of the government that announces public and legal notices, and administrative acts. It publishes the laws adopted by the Parliament, the resolutions adopted by the Parliament, regulations and other normative acts adopted by the government, the Council of Ministers, and Ministries, and international agreements. The General Prosecution of Albania is a constitutional body and at the same time the highest authority exercising the criminal prosecution and representing the accusation in court on behalf of the state. The General Prosecutor is also responsible for the carrying out a series of other duties assigned by law to the prosecution.